U SPORTS announced Thursday its hosts for the 2019-2021 U SPORTS Championships in men’s and women’s basketball and 2019-2020 men’s and women’s ice hockey. 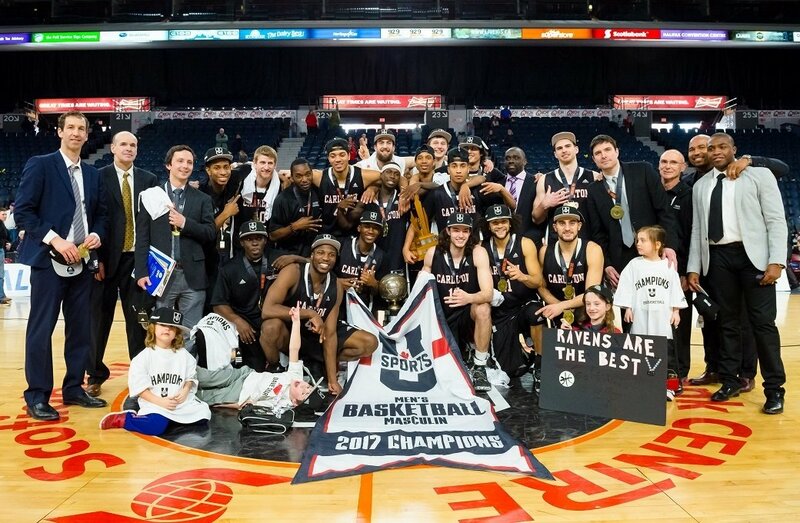 Basketball and hockey are two of U SPORTS’ most prestigious championships for which a number of high-quality bids were presented. Included, was an integrated bid with men’s and women’s basketball through a joint partnership between the University of Ottawa, Carleton University and the Ottawa Sports & Entertainment Group (OSEG). This bid was identified as an innovative approach for a sport enjoying tremendous success at both the grassroots and high-performance levels across Canada. Dalhousie University (Halifax, N.S. ), St. Francis Xavier University (Antigonish, N.S. ), Queen’s University (Kingston, Ont. ), Ryerson University (Toronto, ON), Acadia University (Wolfville, NS), University of Lethbridge (Lethbridge, Alta.) and UPEI (Charlottetown, P.E.I.) will host the other U SPORTS national championships. It is encouraging to see our member institutions developing creative ways to host national championships offering the best experience for our student-athletes as well as for Canadian sports fans, and guaranteeing the best attendance on site. This is promising for the future of U SPORTS and all of its members. 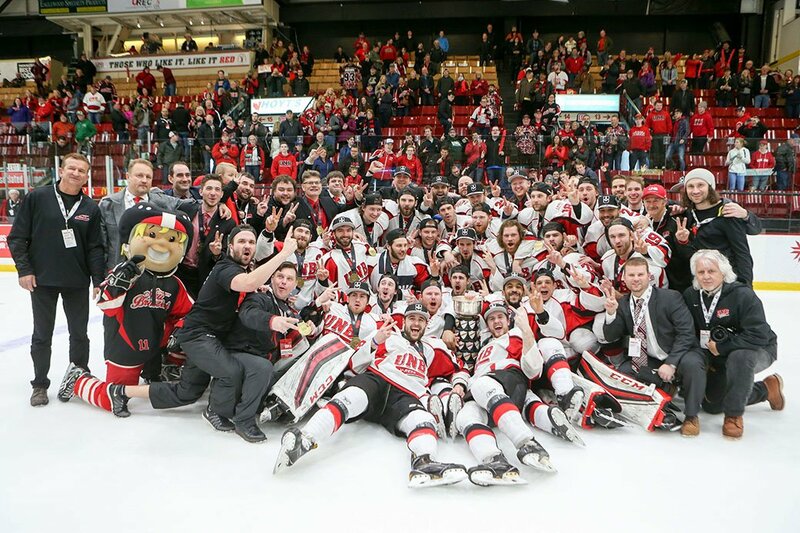 Spanning over a three-year cycle, U SPORTS awarded the Men’s and Women’s Basketball Final 8 for 2019, 2020 and 2021, while the U SPORTS Men’s Ice Hockey and Women’s Ice Hockey Championships were allocated for the next two seasons in 2019 and 2020. 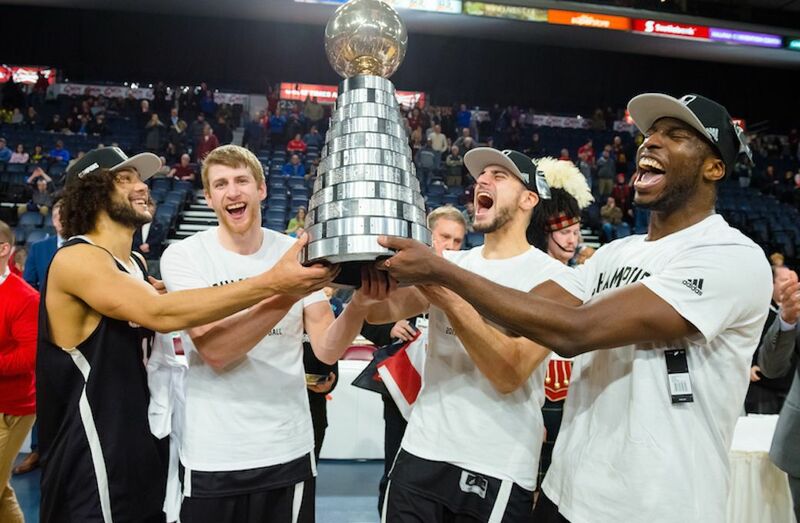 In 2019 and 2021, the Men’s Final 8 returns to the Scotiabank Centre in Halifax, in partnership with event management partner Sports & Entertainment Atlantic (S|E|A). The Dalhousie Tigers will host the U SPORTS Men’s Basketball Championship in 2019, while the StFX X-Men will get the host spot in 2021. S|E|A has also been tapped to stage the University Cup (Men’s Hockey) in 2020, with the Acadia Axemen serving as hosts. S|E|A is no stranger to attracting U SPORTS championship events to Nova Scotia's capital. The Halifax-based company is partnering with Acadia University for this year’s Men’s Final 8 after working with Dalhousie on last season’s event at the Scotiabank Centre. The organization first teamed up with StFX and Saint Mary's universities for the 2015 and 2016 University Cup, respectively. In 2020, U SPORTS innovates with the merging of Men’s and Women’s Basketball Championships to be hosted by both University of Ottawa and Carleton University, in partnership with the Ottawa Sports & Entertainment Group (OSEG). The 2020 Final 8 will showcase the very best of Canadian university basketball, with the men’s and women’s event held together at TD Place Arena in downtown Ottawa. In women’s basketball, the Final 8 tournament heads to Ryerson’s Mattamy Athletic Centre in Toronto in 2019, while the Queen’s Gaels will serve as hosts for the 2021 edition at the Queen’s Athletics & Recreation Centre in Kingston, Ont. In women’s ice hockey, the UPEI Panthers will host and welcome the best in the nation to MacLauchlan Arena in Charlottetown, P.E.I. for the 2019 and 2020 U SPORTS Women’s Hockey Championship. Following two seasons at the University of New Brunswick, the 2019 University Cup returns to Western Canada for the first time since 2014, when the Lethbridge Pronghorns will play host at the ENMAX Centre, home of the Lethbridge Hurricanes of the Western Hockey League (WHL). Following Thursday’s announcements, 10 U SPORTS championship events will be held across six provinces for the 2018-19 season, reaffirming U SPORTS as the national brand of university sports in Canada. View the championship calendar to see the locations and dates of the upcoming championships.